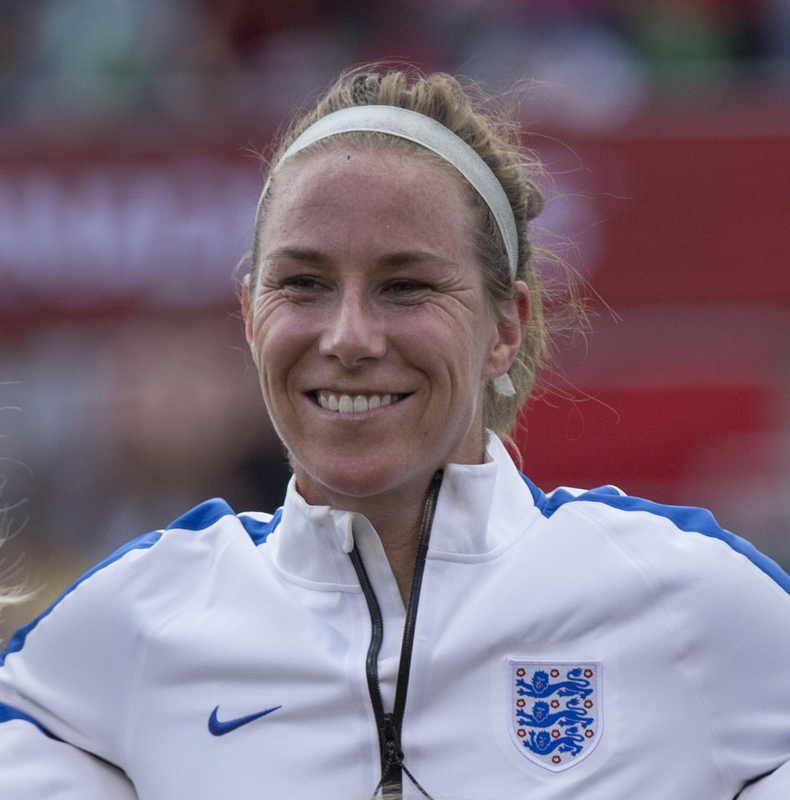 In part two of our new WOAP series looking back at football’s greatest moments, Katie Whyatt recalls the heroics of the England women’s team during the summer. Growing up, there is always something that provides the soundtrack or the backdrop to your school holidays. For my brother Jonathan and me, our summers often follow divergent interests; but this year, in the 14 weeks between the end of our A-levels and move to university, the first section of our shared school holidays was framed by exactly the same obsession. Looking back over the summer, there’s one thing, one event, that triggers the same set of memories in both of us: the Lionesses’ third place finish at the Women’s World Cup. It was just a tournament for the ages, in every single way. From defeating the home nation in front of 54,000, to the utter devastation of their heartwrenching semi-final loss, to the stoicism and fight to come back and produce the best finish at an international by an England side since 1966, there were inspiring stories everywhere you looked. In that tournament, the spirit and endeavour woven into each member of that team personified all the virtues seldom found in game often dearth of such romance. Quite simply, Mark Sampson and the Lionesses made our summer. Every beat and pulse of that World Cup is preserved somewhere in the archives of my mind’s eye. Watching the highlights today, whilst writing this piece, has restored my nerves to an inch of the tension-fraught panic or unadulterated adulation of those games. I see one run, one flick of the ball, one bulge of the net, and my emotions place the moment instantly. Few events in sport have retained that type of hold on me months and years after the game. Of those that have, they’re almost exclusively Bantams-based. I’d followed women’s football before and knew a lot of the players – I’d seen cup finals, WSL games and the Olympics. But this was something else. It was like I was eight again, captivated and inspired and entranced. I watched the Mexico game in my room whilst revising, and was blown away by the ‘Mini Messi’ Fran Kirby, the second youngest player in the squad, swerving around the defenders to fire over the line. 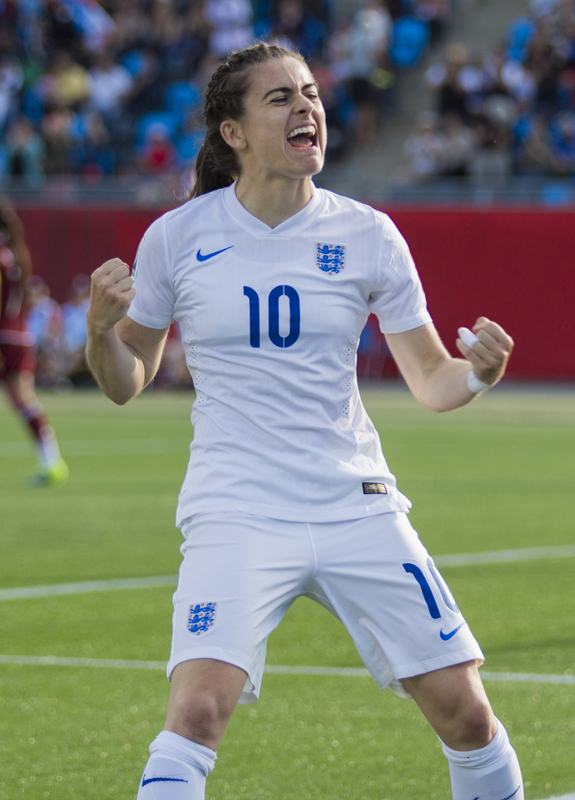 Then when Karen Carney nodded a cross home after setting up Kirby’s opener, the love affair was truly complete. “You need to watch them with me,” I told my brother and mum on the morning of the Norway game. They complied, and we sat down in the front room together. Initially, it was anti-climactic. Play was disjointed, and Norway had the measure of them. It was frustrating, uncomfortable. And when they conceded, you feared the worst. But then you realised what Sampson was doing. The trained and patient hand, the tinkerman biding his time. 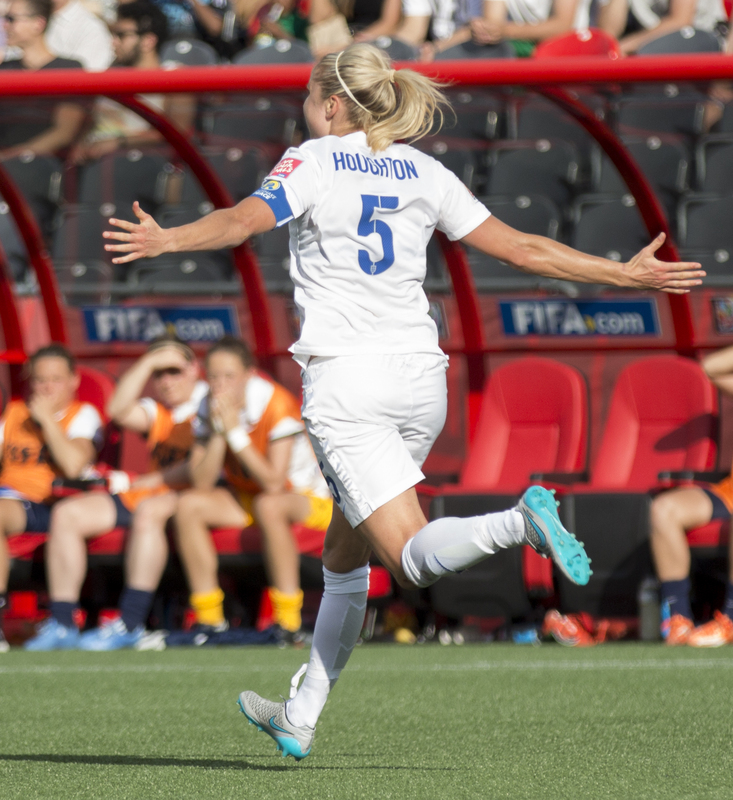 And then, in a routine straight from the training ground, who else to equalise, but the captain, Steph Houghton. Fara Williams’ cross, then Houghton, running into the bodies, rising a foot beyond the cluster. Then hurtling away, arms flared, changing the game, the momentum, in an eyeblink. Mrs. Reliable. Always there, always finding something. I remember that interplay. Then the lay-off. Then the strike. That absolute wonder strike. I remember my eyes tracking the ball, not really thinking anything. Then: in. We watched, eyes wide, shaking furiously, mouths agape, as Lucy Bronze went five inches better than Raheem Sterling did the year before. And I knew, in that moment, that we were hooked forever. There was no turning back now. Like the bar coming down on the rollercoaster, the cart sidling up the tracks, angling towards the descent, this was it. We were in this. Those kind of performances were made all the more poignant by the girls’ impossible pasts. 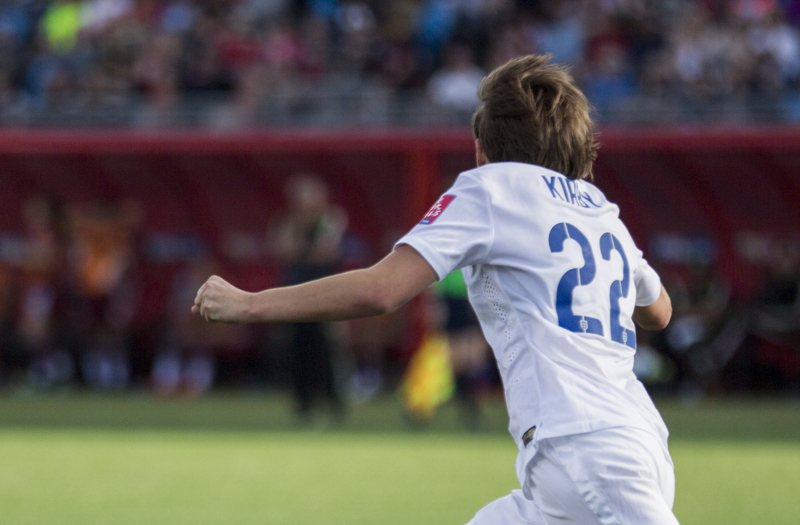 Losing her mother at just 14 years old, Fran Kirby’s world collapsed. She was hit by delayed depression, hanging up her boots for four years. After leaving home at 17, Fara Williams was homeless for six years, playing for her country yet living without a fixed abode. And for those six years, her teammates were unaware of her plight. Karen ‘the wizard’ Carney suffered from depression so crippling, she hated football and struggled to leave her car when she arrived at the training ground. But they made it. Cut to a caravan on the Yorkshire coast. It’s pitch black outside, the sky joined only by the low whisper of the tide – but my brother and me are wide awake. As our parents sloped off to bed, we grabbed our duvets and set up camp in the front room, clustered by the television. We talked excitedly of Lucy Bronze, of Karen Carney, of Mark Sampson’s tactics, primed for an upset on the biggest of stages. The build-up to this game had emphasised that “us against the world” mentality. Taking on the host nation in front of a sell-out crowd dominated by Canadians, there was no hiding from the enormity of the challenge ahead. And there was just something about that idea. As they stepped out into that cavernous arena, walls of red and white stretched out on either side, their nation cheered from 3,000 miles away. And of those sporting moments where you can remember exactly where you were and exactly who you were with, this is the one, for me, that carries the strongest resonance. There was a real sense of being in that moment together. At that point, it was like there was just us and the Lionesses in the world. 11 minutes in. Canada’s Lauren Sesselmann fluffs her lines, a routine pass slipping through her legs. Jodie Taylor steals, hurtles through. Two defenders chase, but she’s away. It’s too late. They’re chasing shadows. She rounds the defender, she leans back and she slots in. Pandemonium. We spring to our feet. The caravan shakes. We watch the disbelief in Taylor’s face, the tears tugging at her eyelids, the girls embracing every minute. Minutes, seconds later, a well-drilled free-kick: a long ball in from halfway, and Lucy Bronze, peeling off, beating her marker, heading onto the crossbar, and the ball ricocheting over the line. Dreamland. Our jaws drop open. This can’t be happening. This cannot be happening. 2-0 up, just minutes played – this cannot be happening. The valiance, the majesty – we’re so, so proud of this team. As the whistle blows, the Lionesses reach the semi-finals of the 2015 Women’s World Cup. The cameras cut to Jodie Taylor, being interviewed in front of the glass advertising board, and glistening tears begin to streak down her face. Nine weeks ago, she was undergoing knee surgery in hospital – now, she has scored one of the two goals that will see England through to the semi-finals. One game from the final. Just one game. 90 minutes between lie between them and a potential gold medal. I’d pinpoint that as the moment where the momentum really shifted. As the weekend turned into Monday, the whole country was talking about that game. About women’s football. About Lucy Bronze, about Jodie Taylor. Everywhere you looked, the Lionesses were there. Scanning the newspapers, an advertisement of a boy hunched over a ball in his back garden was captioned with: “2015 – the year boys all over England score goals in their garden, whilst pretending they’re called Lucy”. Mark Sampson and the FA composed a petition to the nation’s employers, asking them to grant workers the morning off to recuperate after watching the semi-final in the early hours. Prince William was paying them phonecalls. David Beckham was cheering with daughter Harper. I could go on, and on, and on, and on. And in homes up and down the country, millions and millions of others were doing exactly the same. The night of the semi-final, waiting for the game against Japan, the entirety of Twitter was composed of messages of support for the Lionesses. Backed by a nation, they were changing the world. The first thing I remember from this is Steph Houghton winning that penalty. 1-0 down, with the minutes rapidly diminishing, the pressure was on. I was terrified this could be the end of the road. Someone, somewhere, had to produce a moment of brilliance, a moment of anything. Just one moment. Just one moment to change the world. Fara Williams’ cross. Houghton tumbling to the ground. 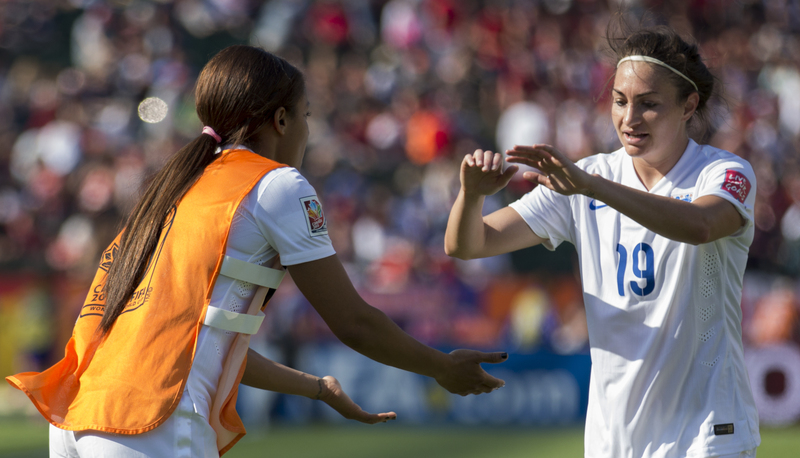 Fara Williams, as cool as you like from the spot – goal. Game on. All we did was laugh, incredulous. Clutching at the smallest of straws, in the smallest window of opportunity, they had produced, again. The wind behind them, the momentum building, anything was possible. They were on the brink of history once more. Up against the “Barcelona of the women’s game”, and they were holding their own. 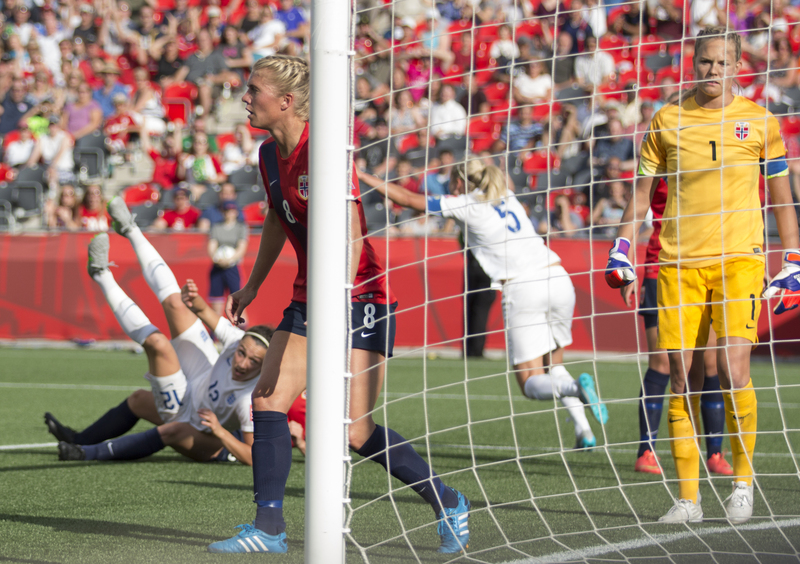 Toni Duggan’s superb shot clattered against the crossbar. Ellen White latched onto a cutting through ball but her finish was parried away. The smallest of margins, just an inch either way. Two minutes left. The cross comes in. Two Japanese forwards run on, the back three scrambling to recover. Someone had to do something, anything. And it was the most heartbreaking ending imaginable. Watching the highlights back now, my heart pangs for Laura Bassett once more. She couldn’t have done anything else. If you pause the clip just as the ball rolls in, Bassett sprawled on the floor, Karen Bardsley mid-jump, helpless, you can feel the agony again. There was no way that could be the end. I was devastated. As Bassett was tearfully consoled by teammates, head in hands, and the referee waved for the restart, my brother and me both fought back tears of our own. I crumpled to the floor. Jonathan took the next most natural response to a crisis and took to Twitter. We glanced morosely at each other, our faces etched with sorrow, the room swamped with the tang of devastation. It wasn’t so much that I was bothered they were heading out. 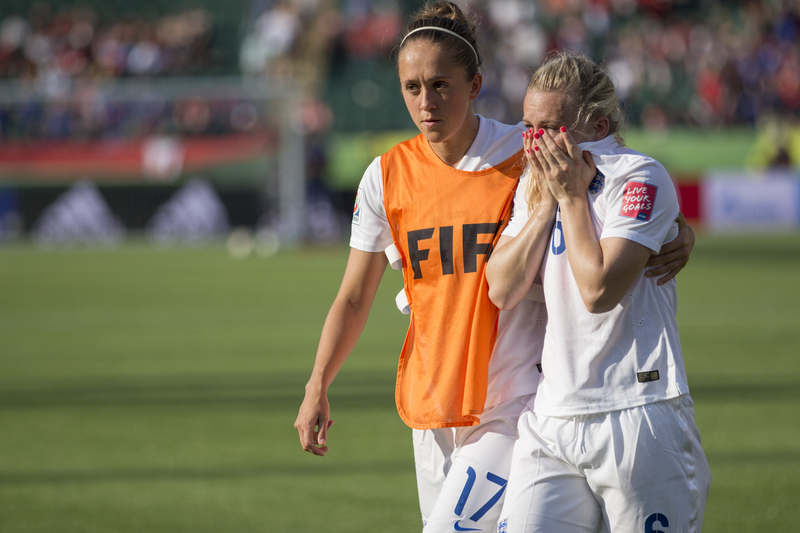 It wasn’t really the defeat that choked me; it was the tears of Laura Bassett. Her ending tinged with interminable disconsolation. I didn’t want her to define her campaign by that one maddening moment of inconceivable misfortune. I wanted to switch places with her for a day, to take her pain away – to make them realise how special they really were. Because in just over a fortnight, we’d fallen for this team like we’d never fallen for anything before. We knew them. We felt like we did, absolutely. We knew their stories, their styles, the challenges they’d faced. We’d watch them stun the country, we’d watch them shake the world, we’d watched as time stood still for all but us as we lived in each and every one of those moments with them. We’d stayed up with them, we’d laid in for the Lionesses, backed them from 3,000 miles away. As day turned to night as they entered that foreboding, cavernous stadium to face the host nation in the quarter-finals, we were there. Thousands of miles between us, yet we were unified as one. But then, like a tidal wave, the pain ceased. As the heartbreak melted away, skidding to the floor and clattering awkwardly in the corner, everything that had underlined the preceding three weeks bubbled to the surface. The landscape of women’s football had changed forever. Two in the morning, and all anyone, anywhere, was talking about was the Lionesses. Everyone, everywhere, was Standing With Bass. That moment was never, ever going to define that World Cup. Everything else was. In the aftermath, a section of the media took umbrage with such a sympathetic response to the own goal. That felt such positive discrimination, if you could even really term it so, was sexist in itself. Why support Bassett, they asked, when we’d vilify a male player for a similar mistake? We were being too protective, too chivalrous. And while I understand the premise of their argument (how did you react to John Terry’s slip in the Champions League final?) I can’t help but feel they’re missing the point. If we believe, we will follow. To illustrate, let’s delve into the subjunctive. Let’s take Bradford City, and let’s take the Reading replay. If that game was just a minute from extra time, and City had dominated play, and the Royals found one last shot in the arm, and launched a last gasp chance from a dubious corner, and Rory McArdle headed in – we wouldn’t call for his head. He’s been a great servant to us, we’d say. This has been an unbelievable journey. This cup run has made my year, we’d tell him. 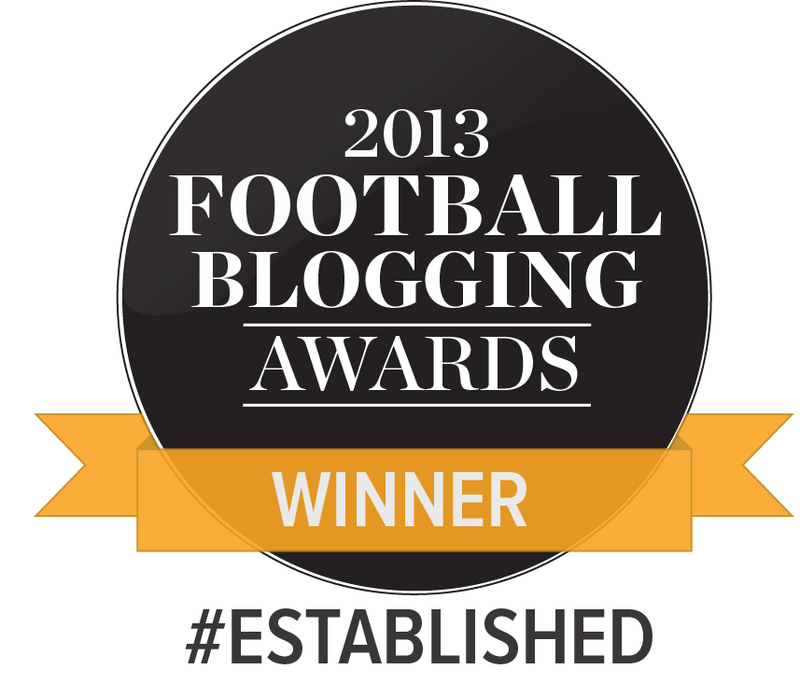 It’s been life-changing, life-affirming, has restored my faith in football. It’s not patronising. It’s not sexist. It’s support – meaningful support. It’s how honest players make you want to respond. It’s the reaction superb role models draw from you. It’s the hallmark of a team we can truly, truly believe in. A team we like, a team we can feel. It was completely the right response. One for all, and all for one. We go again, together, stronger. To finish third, the Lionesses would have to beat the then-number one ranked team in the world. The previous 20 games against twice world champions Germany had yielded no wins. Nothing I can write will ever convey the intensity of Laura Bassett’s agony after the semi-final. You really cannot say enough about the depth of resilience needed to produce any kind of result here. But equally, you cannot say enough about the breadth of the support for the girls back on home soil. Scrolling through Twitter before the game, the message was clear: we’re right behind you. From the first whistle and beyond, we’ll be there. Back at home, we’re cheering you on. Every single one of us. You can do this. I remember the tension. The ticking clock, the countdown, every rotation faster than the one before, every nerve taught as steel wire. Five minutes of normal time left. Three, two, one – we’re on course for extra time. Extra time, maybe even penalties. Half an hour to change your world. Watching the highlights back, every thought and feeling from those two hours comes flooding back. Instantly, I feel my stomach lurching. My heart thudding. Knuckles whitening. Nerves tightening, heightening, amplified. And then you remember. It’s over. It’s done. We’re safe. It’s preserved in my mind, the moment that won it. The ball over the top. Sanderson attempts to latch on. Hands tug at her hips. She tumbles down. Arms outstretched. The referee swipes for a penalty. There are screams. Pause the highlights just as that ball settles, as Fara Williams speeds away, before the rush of noise, the pandemonium. Remember the release. The tears. The hysteria. Skip to 1:32, and tell me you can’t feel a smile forming. I know there were ten minutes left. I know 1-0s are inherently precarious. But I don’t remember feeling anxious after that. There was one dangerous cross that sticks out particularly, one final heart the in mouth reminder. But there seemed a finality about that penalty. A closure, a denouement. That it was perfect, how it was meant to be. On the brink of history, but things felt complete. We were safe. It was over. We were safe again. This is my iconic image of the 2015 Women’s World Cup. There’s just something about that rush from the subs bench. A timelessness that transcends any single moment. The arms go up, they flop to the floor, and the magnitude of what they’ve just achieved starts, slowly, to sink in. That huddle. It’s the team huddle, in the centre of the park, that’s THE moment, that’s the thing I remember most. For everyone who watched, it felt like we were in there with them. It was perfect – they were perfect. These girls mean more to me than any England team ever have before. I look back at videos and pictures from that third place play-off and feel a pride incomparable to anything. In so many ways, it feels like a dream. In so many ways, I can’t believe it happened. It’s easy to forget, sometimes, that footballers, that athletes, that our heroes, are humans. We saw something of ourselves in the Lionesses, the version of ourselves we really wanted to be. The resilience to come back from rejection. The focus to ignore the sexist vitriol. The drive to train alone, every day, in an isolated gym, feet pounding a lonely road in the pouring rain, chasing a dream the whole world told them would never come – before heading off to their nine to fives. Aside from whatever might have been, that third place finished gave the contest the finale it truly deserved. Those bronze medals ensured the perfect footnote to a tournament that had been about shattering glass ceiling after glass ceiling. Rather than a curtain call flavoured with pathos, the Lionesses served a finale that encapsulated their journey to the semi-finals. My brother is at university in Manchester now. He’s got tickets for some of Manchester City Women’s WSL games. As we drove to Lancashire to drop him off, the scaffolds of Manchester City’s sports village loomed into view and peeked over the corner of the dashboard. And above the main entrance to the Ethiad, beyond the carpark, stretched far above the glass doors, next to a huge billboard of Sky Blues captain Vincent Kompany with the Premier League trophy, holding the Continental Cup in her arms, is a giant print of Manchester City Women’s skipper Steph Houghton. Cue a talk of that last day title fight; of who will win the Premier League this year; and, of course, of early in the school holidays, as the clock chimed 1 am, and my brother and me sat down to cheer on the Lionesses one more time. But it wasn’t the final time. We were there for the FA Cup Final. We’ll be there for the Euros. And we’ll be there with the Lionesses for the rest of our lives. This is the true legacy of the World Cup. With very special thanks to Myroslava Terlecky for supplying these photos. For more information follow her on Twitter or click here. ‘Backed by a nation, they were changing the world.’ Really?! ‘and produce the best finish at an international by an England side since 1966.’ To compare the achievements to those of the men’s team in 66, 90, 96 is beyond me. Yes they did well and congratulations to them on their achievements but the national press was completely overboard in the same way as this is here. ‘We were being too protective, too chivalrous.’ I don’t agree we were being too protective I feel they should be supported by the country but as it suits you compare them to the England men’s team and when it doesn’t you make a completely different comparison. Club football is different – what sort of response did John Terry and Steven Gerrard get from opposition supporters after their mistakes – but more importantly ask David Beckham after 98 or Phil Neville after 2000 if they felt ‘protected’ after their mistakes in these tournaments cost England their place. 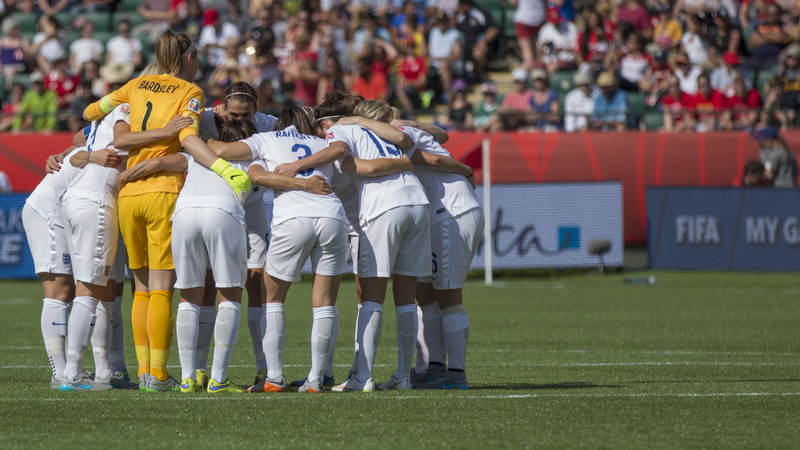 England Ladies team did well in the WWC and even better than expected. It is great that they have inspired young girls across the country and hopefully more will take up the sport. I am pleased they did well but in all honesty I tried to watch a couple of games and turned it off because the quality just didn’t make for an entertaining spectacle for me. Sorry if you found this article hyperbolic, but the aim of this series is to take moments that meant a lot to the writer and try and encapsulate some of that feeling – and I think everyone that followed the Lionesses avidly this year would attest that they fell in love with them in the same way I did. You talk about not being enthused by the standard (have you seen Bronze’s goal, though?) and while I understand the comment, I can’t help but feel it’s sterilising the tournament – this team meant so much to us because they symbolised the spirit and resilience you want in a football team. So many of our teams routinely underperform at international tournaments, but the Lionesses (and same with Team Gb in 2012, who received way more coverage than this did) bucked that trend. Messi is miles better than Gary Jones, but who means the most to you – and why? Both London 2012 and this showcased sports that function without the funding and media coverage that the male game gets – some of England’s players have part-time jobs alongside football – and you respond to that kind of dedication. And you talk about a media overreaction, but I don’t think it was disproportionate to the country’s reaction in general. This team changed so many people’s perceptions of the female game, but, beyond that, they secured places in the nation’s hearts.